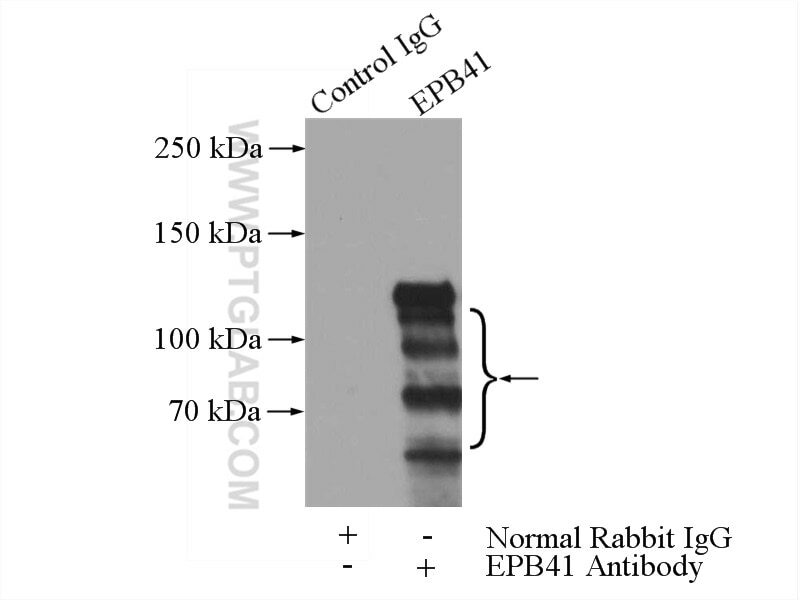 IP Result of anti-EPB41 (IP:13014-1-AP, 4ug; Detection:13014-1-AP 1:200) with HL-60 cells lysate 4000ug. Cortical Dynein and asymmetric membrane elongation coordinately position the spindle in anaphase. NuMA interacts with phosphoinositides and links the mitotic spindle with the plasma membrane. 7SL RNA in Vertebrate Red Blood Cells.